I am not above admitting that I love a good barbecue on Memorial Day and for most Americans it signals the start of summer. 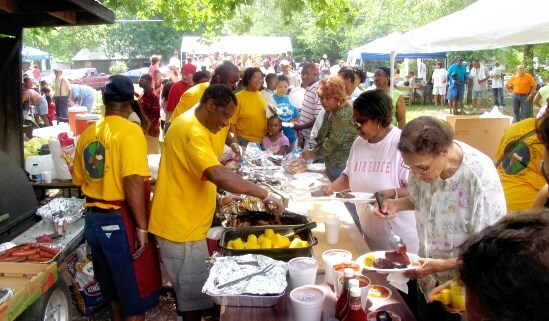 There is something quintessentially American about gathering in the backyard or at a park, along with six-tons of picnic and barbecue equipment, food to feed 10x the number of people expected- no matter if it’s six or sixty, a combination that almost guarantees cleanup may take longer than the event itself. Memorial Day barbecues always feature lots of food and friends. Kids run around getting sunburned, burning off the wild energy that ferments inside them like yeast as they anticipate the end of the school year. Parents and friends stand around with cold beers, tending burgers on the grill and talking about their own plans for summer- maybe a trip to the lake, or Disneyland, or a road trip to see far-flung relatives. I can imagine the men and women we are honoring on Memorial Day standing around the edge of these picnics and barbecues across America, in a very Field of Dreams sort of way, insubstantial as ghosts, but tightly ranked, as if all craning for a look. Asking themselves, was their sacrifice worth it? Did they enable the kind of Memorial Day picnic that they would like to attend- relaxed, fun, filled with good food and friends? Yes and yes. I imagine the soldiers nodding with satisfied smiles and fading away, allowing other curious ghosts a chance to observe. We are so lucky to be able to enjoy a carefree start to our summers, with Memorial Day symbolizing the peace and security that we are so fortunate to enjoy year-round. That being said, we have a responsibility to not just enjoy the benefits of their sacrifice, but to understand those sacrifices- both on an individual and collective level. Particularly as the generations that experienced WWI, WWII, and even the Vietnam War leave this world- their memories of war, sacrifice, personal and national suffering, and loss are harder to find. Those experiences settle entirely into pages or images- no longer vivid stories held in an individual’s mind. Remembering becomes learning. Understanding is not a matter of recollection but of reflection. If we do not actively seek them out, they will fade from our consciousness entirely. For a number of years, I have made a point of reading war stories- fiction, non-fiction, the Civil War, the Revolutionary war, WWI, WWII, love stories, tragedies, stories of soldiers, leaders, the families left at home or caught in the middle. I feel passionately that it’s important for us to do this. I think it is our duty- like proper funding for veteran care (but that’s another blog post…). I have four recommendations for this Memorial Day- pick up or download one of these today. You don’t have to start reading it today- but make a point to read one of them. Or read something else- there are thousands of worthy books- I’m not even trying to pick the most famous, just a few that I have read recently that I enjoyed and recommend. 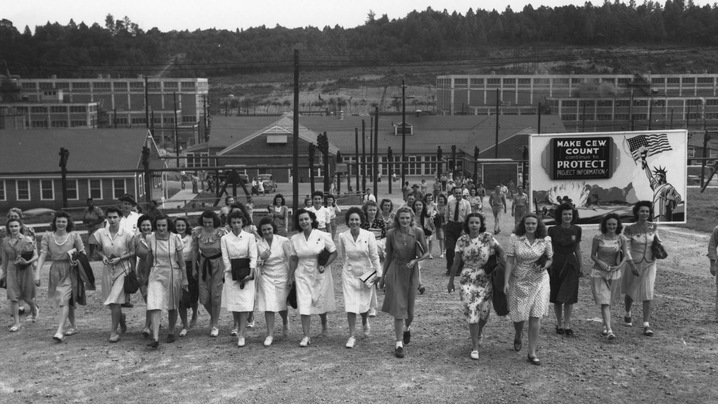 Women working at Oak Ridge, a secret city built right under our noses in WWII that helped win the war. The Girls of Atomic City, by Denise Kiernan, is the fantastic true story of a secret city, Oak Ridge, that was built in Tennessee in WWII as part of the Manhattan project. Its role? Enrich uranium for the atomic bomb, or the gadget, as it was referred to at time. What I love about this book- in addition to learning about the extraordinary, mind-boggling effort that went into the production of enriched uranium, is the intimate look into the toll war took on the American psyche. The level of secrecy, control, and commitment required at Oak Ridge is Orwellian and yet, was accepted by all without so much as a bat of the eye. That tells you something about the magnitude of war in a way that few other stories do. This book demonstrates how the war effort permeated every particle of a person’s life like smoke from campfire- it was embedded in the fabric of life in a way that people of younger generations can scarcely imagine. The book is engaging- telling the story both of the project itself and the workers through the eyes of women who made up of the majority of workers at this vast city- so large, that at its peak, the project was consuming more electricity that New York City. It’s a must read. All The Light We Cannot See, by Anthony Doerr, is an entirely different sort of book. Fiction, set in France during WWII, it is a searingly beautiful story about a blind French girl and a German boy who’s paths are inexorably drawn together by the advance and devastation of the war. This book is a beautifully written account of life in war time interwoven with love, hope, loss, fear, and redemption. Dead Wake, by Erik Larson, is a masterful telling of the story of the sinking of the Lusitania and of America’s entrance into the first world war. Like Larson’s previous work, The Devil in the White City, this book brings history to life through careful research and reconstruction of the events, and by employing the voices of those who were involved or impacted by the disaster. 1776, by David McCullough is a fitting read for Memorial Day. 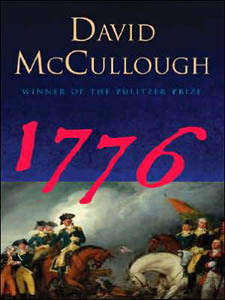 1776, by David McCullough, is the story of one year (you can guess which one) in the birth of our nation, and tells the story of the beginning of the Revolutionary War. David McCullough is a master story-teller and a brilliant historian. We would be well-served to just toss out conventional history books and learn through reading his riveting books. This story brings the lives of soldiers during the Revolutionary War to life and is an eye-opening look at how precarious the American cause was at the beginning of the war. You will have newfound respect for the founding fathers and of the war fought to gain American independence. As I said, these books are just a few that I have enjoyed recently and that, in addition to being entertaining, serve the real and important purpose of keeping the past alive- helping us to develop a sense of understanding and respect for the sacrifices made by soldiers in defense of the freedoms that we enjoy today. So, definitely, have a burger and beer today and post a flag or a remembrance on Facebook, but don’t let that be the end. Don’t stop there. Read about our past. Learn, understand, and respect the sacrifices that have made it all possible. With gratitude to all who have served and lost their lives this Memorial Day. 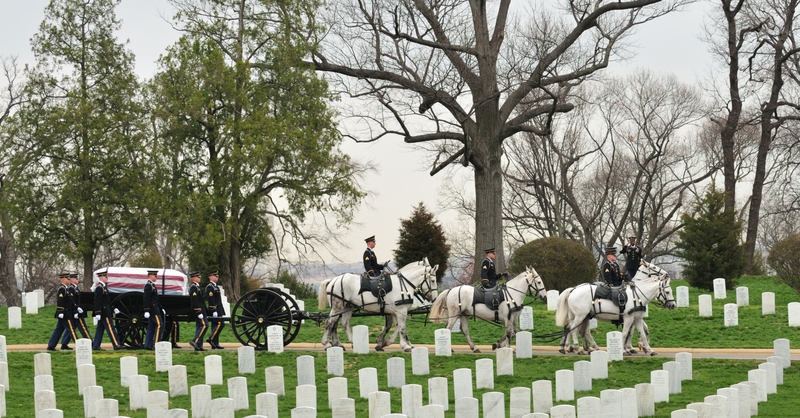 I have not yet visited Arlington National Cemetery, but images like this never fail to move me deeply.